Welcome to the sleepy world of siblings Benjamin and Samantha Hope. Their vista is like a cloudy sky, full of cotton wool with a few gaps through which occasional bright stars are briefly visible. The indie electropop duo from Cairns previously released two EPs, with Talk Free being their debut long player. The album follows the general approach of their EP Some Where out There, but the guitars have lost prominence, facing a greater challenge from a thicker electro soup. Talk Free presents a more rarefied synth atmosphere, in partnership with the wispy vocals of Samantha Hope which can make lyric interpretation challenging. 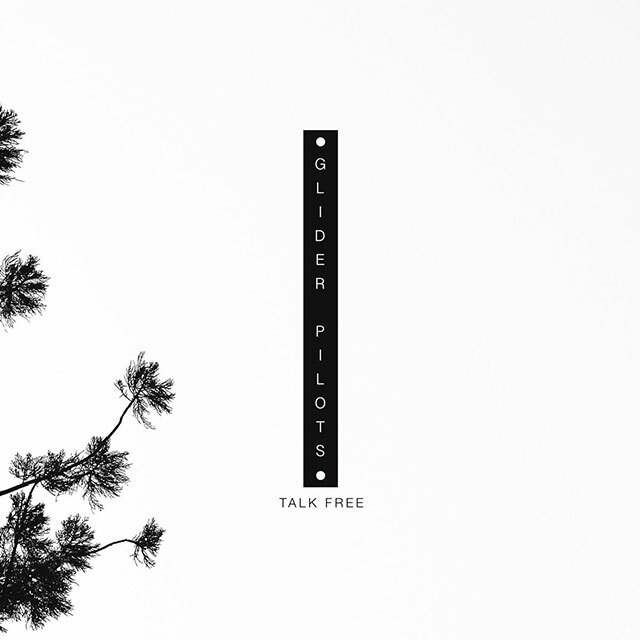 For an electro band, Glider Pilots take a minimalist approach, allowing lots of space between elements in preference to a wall of sound intensity. Leading songs are slow and chilled, with the tracks showing more life mid-disk, with the best material saved for the tail end. Opener ‘Improvise’ sets the early pace with its gentle electro trickle and sleepy vocals. A heavier bass line thumps in mid-song, as the band builds a torte of synth layers. ‘Hardwired’ is delivered duet style, as the pair ride a fuzzy synth horse with an easy swing to its canter. The highlights come in the last four tracks, which exhibit more vitality. ‘Throw Me in the Deep End’ exhibits needle sharp keys and shimmering synths, while ‘Mild Blood’ comes with a bolder vocal delivery and a stronger, catchy melody. Song themes involve cloudy philosophising and exploration of the deeper self. Concrete images are avoided, with the band’s core vibe best summed up in a quote from the track ‘Coexist’: “In a remote indistinct reverie.” This is an album for the navel-gazers.